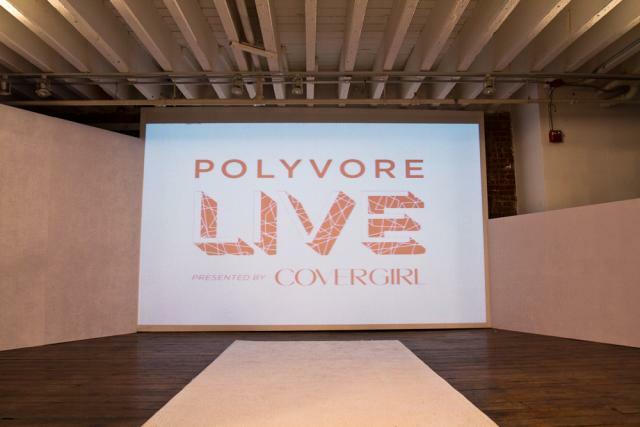 During Fashion Week, we got to take a break in between all the backstage madness to check out the Polyvore Live fashion show sponsored by CoverGirl. Up and coming designers and FIT alumni Lauren Bagliore, Vengsarkar Budhu, Sergio Guadarrama and Dana-Maxx Pomerantz sent top bloggers down the runway to debut their latest collections. But as much as we loved the clothes, we couldn't take our eyes off the stunning hair and makeup created by makeup artist Beau Nelson for CoverGirl and hairstylist Sarah Potempa. Check out the full recap of the event below and see the entire show here.